From a business perspective, a common criticism is that you are required to have a Google+ page in order to take advantage of the local SEO benefits associated with Google My Business. Google My Business houses company information like hours of operation, locations, industry, contact information, and more, and is shared across Google’s entities (like Google Maps). This way, anyone searching for your company or industry can find cohesive information and be directed to your website or physical location. Thank you for elaborating so well! 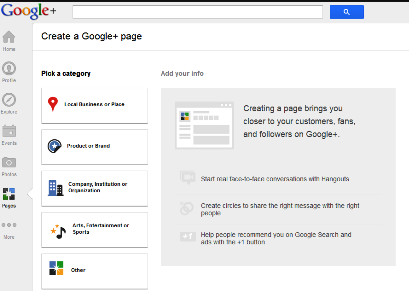 Beside G+ other Google tools such as Google Spaces and creating Collections can be beneficial for your business if you use these tools effectively. From my experience, Google+ is an extremely finicky site with excessive controls and restrictions. It is a free world and online marketers like to express themselves without excessive hindrances. I am consoled when i hear that Google+ is still work in progress otherwise i would have said outright that it is not a very effective marketing platform. For great pictures maybe, but with Instagram, Google+ is a non-starter in that department as well. The one thing I will say about applying Google+ as part of your marketing strategy is that Google absolutely LOVES GOOGLE! It really boosts your ranking for this search engine. Great question Chris- like what I have learned from these answers!